A compost tumbler is a drum that can be turned easily to produce high quality compost. Compost tumblers are often made of durable recycled plastic. The composting materials, like food scraps and garden clippings, are broken down by bacteria and other microorganisms that occur naturally. A good flow of oxygen through the barrel is also required. The resulting nutrient-rich compost can be used to fertilize your garden in just a few weeks. Compost tumblers offer several advantages including a faster composting process, less mess, and it’s an easier process than traditional composting. This garden innovation is important because it eliminates waste effectively and saves you the cost of expensive fertilizers to maintain your plants, garden, and lawn. If you have a limited space for a compost heap, a good compost tumbler might be just what you need. If you are new to composting with a compost tumbler, here are a few tips to help you get started. First of all, you need to choose a strategic location to place your compost tumbler. Since the composting process is hastened by effective aeration, you should place your compost tumbler in an open area where air can easily flow through and around the tumbler. A sunny area is optimal sine the sun helps heat the tumbler which speeds up the breakdown of composting materials into rich compost. It is a good idea to place the tumbler in a covered area to prevent rain from getting into the barrel which will cause the compost pile to get soggy. You could also use a cover when it rains. You can add most kitchen scraps to the compost tumbler. Meat and dairy products can attract rodents, and they don’t generate a good quality compost. Fruit and vegetable scraps are better choices. 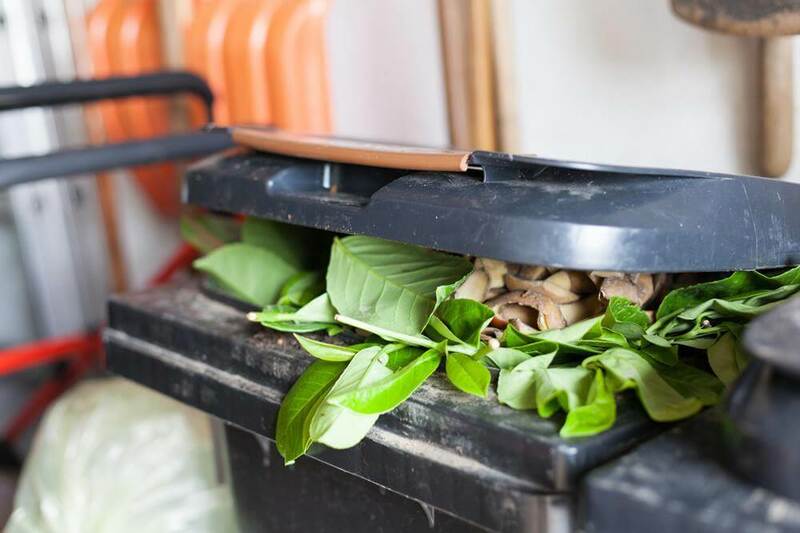 Garden wastes including leaves and grass can also be added to the composter. If you want a faster composting process, you can add compost accelerants like alfalfa pellets. Adding fresh soil can also help speed up the composting process. Use the door to load the composting materials, and be sure to close it tightly when finished. You can also add some brown materials to neutralize the smell of the compost pile inside. To produce the best compost, you must maintain a 1:3 ratio of green and brown wastes. Green scraps include food waste and grass shreds while brown scraps include paper and wood materials. The volume of brown waste allows for the easy flow of oxygen into the barrel which nurtures the microorganisms living inside the barrel. To keep the compost moist, you can add some water, but make sure it doesn’t get soggy. Once all your compost materials and additives are loaded into the barrel, it is time for you to spin it by turning the handle or the barrel itself. Spinning must be done regularly to support the aeration process. This is the greatest benefit that a compost tumbler can offer over other composter styles because aeration is done quickly and easily with just a few spins. Before you spin the tumbler, make certain that the door is tightly closed because you don’t want your compost pile to scatter over your yard when you spin it. The number of rotations depends on the model of the compost tumbler, but it is essential that you make the minimum number of turns daily. The rotation helps to thoroughly combine the scraps to produce the best quality of compost. Frequent spinning is required if the temperature drops because the cold will impede the breakdown of the composting materials. In the first week after the composting materials are loaded into the tumbler, frequent spinning is not needed because this is when the composting materials are just starting to break down. In order not to disrupt the heating process of composting materials inside the barrel, avoid spinning the barrel for the first week. You can begin rotating the barrel in the following weeks, especially if the outside temperature is low. If you discover that a bad odor is coming from the barrel, you need to spin it to enhance the aeration process. Check the contents of the compost pile inside the barrel regularly. Determine whether there is enough moisture present. Ideally, the wetness of compost pile should be similar to a damp sponge. If the pile is too dry, add in some water and close the barrel door. Foul odors must also be attended to because they can signify that the compost ratio is not proportioned properly. Different types of odors require different actions. If the compost smells like ammonia, the compost pile needs more brown waste. On the other hand, an overpowering smell of grass may signify that the compost is not properly aerated. This smell can be minimized by continuously mixing the compost to promote the evaporation of moisture. Most compost tumblers can produce compost as early as three weeks. If you aren’t sure whether your compost is ready to be harvested, you can check its quality. Good compost will have an even brown color throughout and feel granular to the touch. The compost should smell earth-like. Another obvious way to determine if the compost is ready to be used is if the compost pile has broken down to half its original volume inside the barrel. When you are sure that you have produced the right quality of compost, you can unload it with a shovel or by turning the tumbler over a wheelbarrow or other container with the door open. 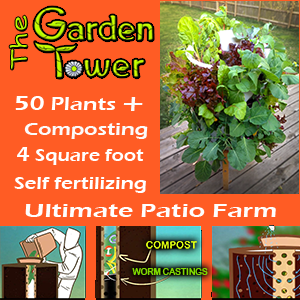 Now you can use the finished product to fertilize the soil in your garden. After you clear the first batch of compost, you can put together another batch of fresh materials. Repeat the same process and make sure to note what you types of materials you used and the quality of the resulting compost.